I barely saw him due to the lack of luminosity at the bottom of the tomb. However, the dim light was strong enough to show me a stiff corpse dressed in official garments moving toward me with its arms outstretched. I heard many stories about these creatures. I believed they were only stories, and I hoped they remained in the books. Wei was already holding his small sword in front of his body and keeping an offensive stance. Was my brother considering fighting that freak creature? Idiot! Wei always tried to prove that he was more courageous, determinate... more everything than I was. I didn´t blame him. Seriously, I knew his feelings because they were mine too. I shook my head. Two eleven-year-old boys handling small swords didn´t have any chance against that creature—the man who looked like a corpse and paced stiffly toward us. How faster were we? We could reach the exit of the tomb before the creature picked us, I assumed, since it moved in an awkward way. Moving that body forward seemed very hard. Its joints didn´t fold; the body swayed from side to side when it stepped with outstretched arms as if the creature was ready to grasp us. Why did we enter this tomb? Why were we always visiting strange and inappropriate places? Our father—Emperor Shun Xiang—wouldn´t like it. He would not! 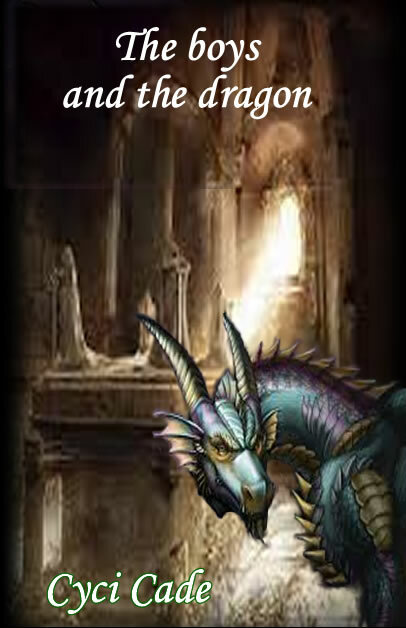 He would punish us severely when we arrived at home—the Palace of the Dragon´s Empire. Yes, our father was the powerful Dragon Emperor and my twin brother and I were his heirs. However, there should be only one heir, only one of us should be the next Dragon Emperor. We have tried to keep this pressure far away from us. We learned how to handle weapons when we were seven years old. Today, all knowledge and skill won´t help us unless we had learned how to move faster than the wind. Without noticing, we step back. “Our mother will kill us, Liu.” Wei broke my thoughts. “She won´t have chance, our father will kill us first when he notices our absence during dinnertime.” I spun on my heels and ran through the labyrinth followed closely by Wei. I didn´t remember which corridor we took to get there—all corridors looked the same. The stone walls seemed to close in on me, and the damp air suffocated me. I thought I was lost. Wei, too, because he was following me. If he knew the way, he´d have already protested and asked where I had left my navigation sensor as if I had one. I made a mistake and stopped abruptly, skidding a few feet on the slippery ground. Another creature blocked my way. Wei stopped next to me and observed the corpse. “Is it the same the creature?” He pointed to the corpse. This time Wei guided me. I was tired and thought we had already passed through this corridor some minutes ago. We didn´t spend so much time to reach the bottom of the tomb. We were trapped. Wei stopped, and I knocked my head against his. I wasn´t paying attention to his movements. This corridor was darker than the others. “What´s wrong?” I protested rubbing my forehead and stepping aside. I squinted and widened my eyes; there was two creatures blocking our way, my eyes weren´t playing tricks on me. I unsheathed my sword. I wished its blade was longer. I held it in front of my body with shaking hands. “Do you have any idea, brother?” Wei glanced at me, his hands also shaking. Wei didn´t wait to hear my plan, he ran to the corridor I mentioned. I wasn´t sure if I had seen or imagined it. I followed him looking over my shoulder at those creatures once in a while. They were chasing us. He stopped, and I knocked my head again because I was looking back. It hurt, my head throbbed. I wanted to protest, but I didn´t have time. Another two creatures blocked that side of the corridor. They were approaching. Wei came near, and our shoulders touched. I wanted to make a promise like, “I won´t do this again” or “I will obey my parents.” People used to make promises to escape from difficult situations. However, I didn´t know anything about death or promises. A split second passed and nothing happened. How much time would I have to wait to see if it worked or not? I didn´t have time. I had to do it by myself. I looked to the sides and skimmed the wall with my fingers to find any passageway. Wei did the same, and we walked toward the creatures skimming the sticky wall until we found a dark, narrow corridor. Wei nodded his approval and didn´t waste time; he disappeared in the darkness. I followed him. Wei and I were not supposed to be here. We were supposed to be waiting for our father in our host´s garden. But we were here, and we didn´t have any clue how to get out of this place, how to defeat those creatures. How did one creature turn into four in a few minutes? How many others would we find this tomb?